Congratulations to Pam Dressel who stood on the podium twice at the March NAC in Reno, Nevada. On the first day of the event Pam began the competitive weekend by placing 7th in the Women’s Vet 40 Foil. 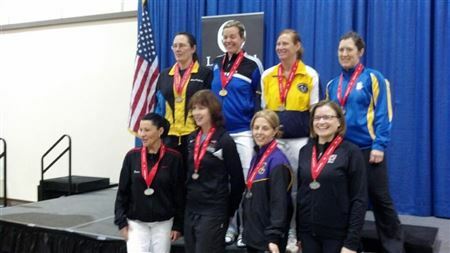 On the final day of the event, Pam placed 7th again but this time in the Women’s Veteran Combined Foil. This second event was rated as a B2 event and allowed Pam to earn her D15 rating. Congratulations to both Pam and her coach and best wishes for continued success in the future.